We are delighted to report that the Better Care Exchange now has over 720 users signed up! A multitude of excellent resources have been uploaded, these include a great example of community engagement in Sunderland and a really useful Public Sector Transformation Network webinar on evaluation. A number of upcoming events have also been highlighted, such as the interoperability workshop in London on 3rd June. I encourage you all to continue uploading and posting. Furthermore, you can also now access the Better care Exchange on the move! You can download a free app on iPhone, Android and BlackBerry which allows you to access the Exchange from your smartphone or iPad. This means you can search for key documents, post questions and collaborate with others quickly, easily, at any time to suit you. To access these apps, log in to the Better Care Exchange and on the top right hand corner you will see a box which says ‘New to Tibbr?’. This box contains links to the apps, which will take you through the process of downloading them. If you have any questions or improvement suggestions please do not hesitate to get in contact with us at england.bettercareexchange@nhs.net. In this week’s ‘Meet the Team’ we meet Darren Sugg. Darren has been a government social researcher since the mid-1990s, working on a wide range of policy areas including criminal justice, arson and community fire safety, and more recently local government policy including the effectiveness of performance frameworks, public satisfaction with public services, and more recently children’s social and adult social care. He has been working on the Better Care Fund since October 2013. Darren leads the learning & insight work stream, which is looking to identify and share good practice in delivering integrated care and helping to assess the impact of the Better Care Fund as the year progresses. Originally from the West Country, Darren was educated at the Universities of Leeds, Bangor and the LSE. 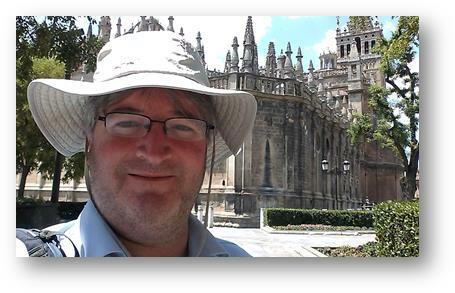 When not taking ‘selfies’ in front of grand European buildings (that’s Seville Cathedral in the photo), he lives in Crouch End, North London.